The market remains in a short term down-trend within a longer term up-trend. I am mainly out of the market and in cash in my trading accounts and remain invested in mutual funds in my university pension. The time for me to be in stocks is after the GMI has given a buy signal. 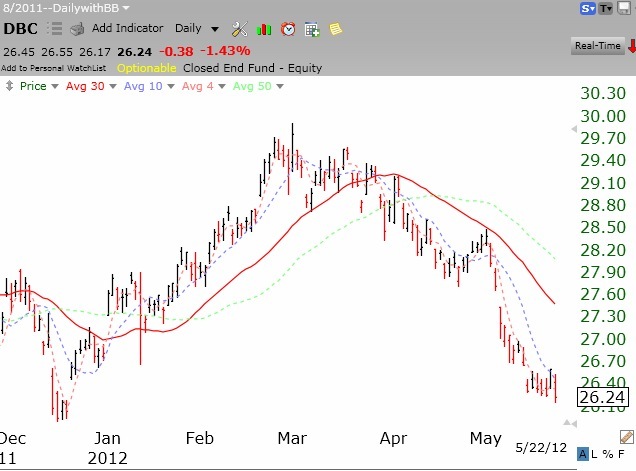 The last GMI signal was a sell in early May. I own some put options on GLD. Gold still looks weak to me, especially with the dollar getting stronger. 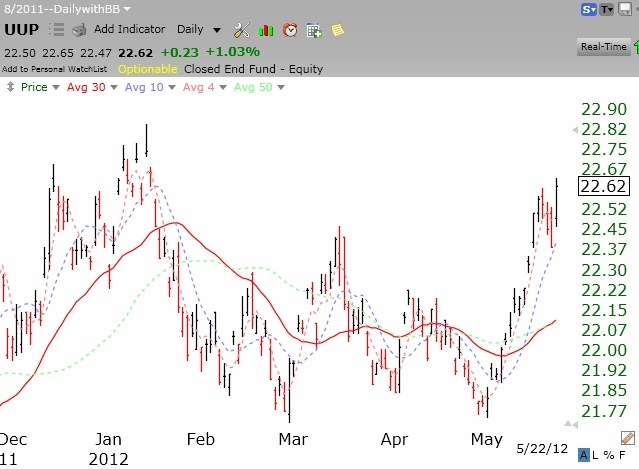 Look at this recently strong daily chart pattern of the bullish dollar ETF, UUP. Click on chart to enlarge. As the dollar rises in value, it takes fewer of them to buy an ounce of gold, and GLD and other commodities decline. DBC, a commodity tracking ETF, is back to where it was in December.